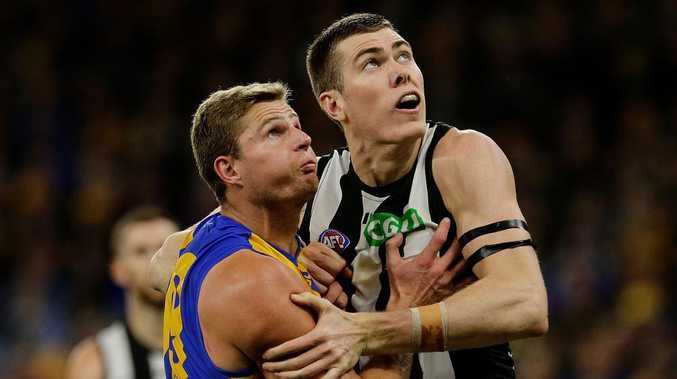 Mick Malthouse believes the 6-6-6 rule will benefit the powerful midfields of grand finalists West Coast and Collingwood. Picture: Getty Images. I'm not sure I've ever seen so many dramatic rule changes in one hit and I feel like the entire structure of our game will change with them. Coaches will be left powerless to a degree to alter the course of a match. For what purpose is the game of Australian rules being "fixed"? It wasn't broken in the first place. Last year's Grand Final was a ripper. One of the best grand finals in years. 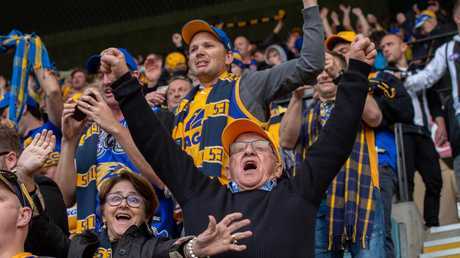 Eleven goals were scored by each of West Coast and Collingwood for a five-point Eagles triumph in front of more than 100,000 people. Footy fans everywhere stood an applauded as one for the guts shown and the skills displayed by the players. If this isn't the sign of a healthy competition then I'm not sure what is. 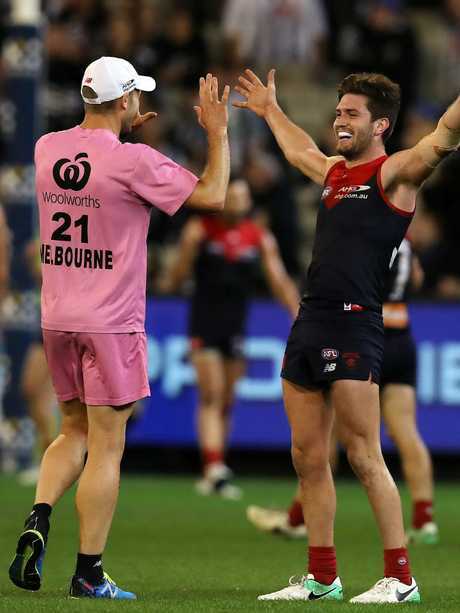 And yet, it was drummed into us from the AFL all year that the game is in decline and needs to brought back to the good ol' days; that the public wants more goal scoring and free-running football. Does it really? From where I've sat my entire life as a genuine football fan, I've loved watching hard-fought wins, desperate tackles, high-leaping marks and seemingly impossible goals; all that exciting stuff that makes our game unique. No one wants to watch blowouts and I'm tipping that that's exactly what some of these rule changes will create. 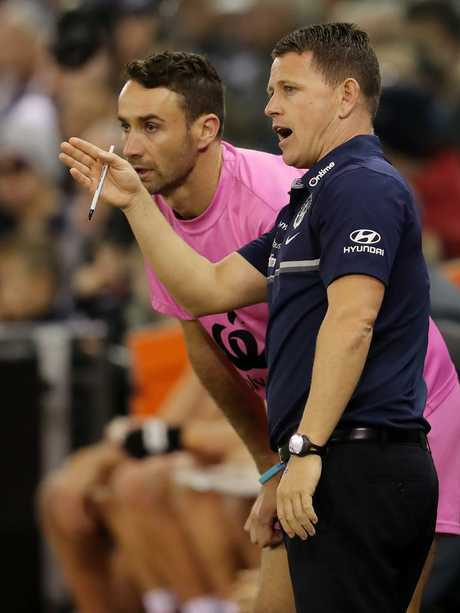 The 6-6-6 rule at the centre bounce will enable the best ruck and midfield combinations to dominate the square, which over the course of four quarters will enable them to directly push the ball deep into their forward line at a regular rate. This will suit West Coast and Collingwood who boast two of the strongest ruck/midfield units. This rule change is a knee-jerk reaction to fixing the so-called mauls around the football, when really all that is needed is to pay the first genuine free kick. It's very hard to get back into the game when you constantly have to bring the ball back in from the backline. 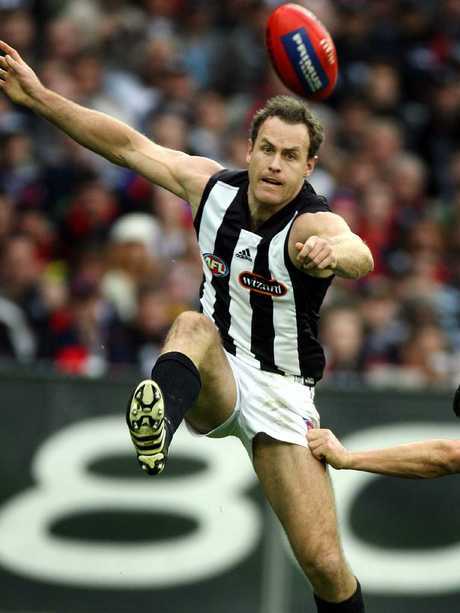 James Clement was an elite kick from defence for Collingwood. Which brings me to my next point: I'm still trying to work out what is wrong with kicking the ball in from the goal square, as opposed to the new interpretation which allows the kicker to run the ball out of defence with full protection because the man on the mark is pushed even further upfield. There are times when the players, and supporters, need that breather. Surely one of the great delights of the football fan is to see a player under pressure use his elite kicking skills to hit a target. 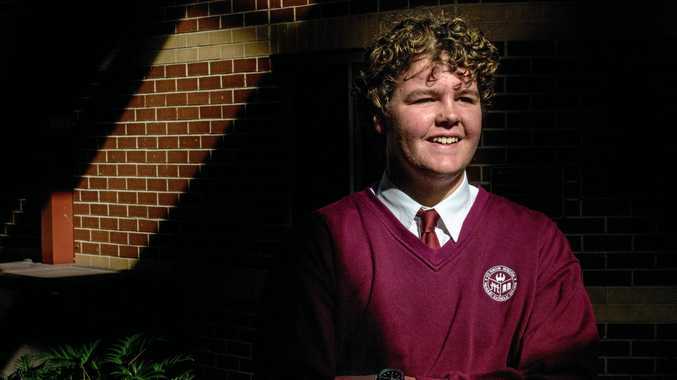 Maybe I was just fortunate to coach two of the best in Guy McKenna and James Clement, who had just seconds to find a target and hit him on the chest or kick the ball for him to run on to. From my memory, supporters loved to see this executed. This also tested the opposition's defensive tactics. 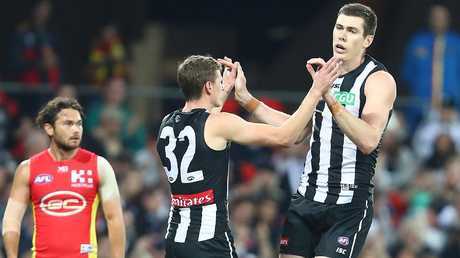 Talking about Clement, the response to him constantly getting James Hird under the ball in a Collingwood-Essendon clash was to ban players from holding their ground in a marking contest. I am genuinely pleased that 10 years on, commonsense has finally prevailed and the original rule has been reinstated. No pushing in the back - fair enough - but hands ON the back in a firm stance is a show of strength and skill and makes the one-on-one contest so mesmerising. I applaud the AFL for this. Mick Malthouse has joined calls for the return of the runner to assist coaches. Picture: Getty Images. When former AFL boss Andrew Demetriou and current chief Gillon McLachlan were questioned on occasion by US visitors about the "men in green" so began their preoccupation with the runner. I'm afraid their obsession with American football is disproportionate to the need to tinker with our game. We play on possibly the largest grounds of any football code in the world. We have more players on the field at once than in most other sports. And across the board our players are younger, many make their debut at the elite level aged 18. It makes it difficult to coach from the ground because you can't see all of the play, and your voice can't carry far enough for all players to hear you - unlike in basketball, soccer, gridiron, the rugby codes, hockey and so on. So the runner is invaluable in delivering a message for a multitude of reasons, for changing player positions or bringing them off the ground, or for reinforcing the team rules and game plans. With limited use of the runner, the coach is left almost defenceless. I'm fully aware that supporters go to watch the players play, not the coaches coach, but there has to be a certain level of direction from the coaches during the course of a match to give the players the chance to be at their best. Coaches are already handicapped by the 6-6-6 rule, so limited communication will only escalate this problem. They will be left almost powerless to stem opposition momentum, to protect a lead, or to counter variances (i.e. wind direction) that arise during a match. Captains don't have the same bearing in Aussie rules as in other sports generally due to the physicality of their own game and the non-stop nature of footy. Decisions made by the coaches can be relayed to a player, particularly a young player, immediately, without interference, by a runner and instantly alter the flow. When they do their job properly, how many times do you remember even noticing a runner on the ground in an average game? I find this rule disappointing for the struggling teams who need the availability to freely give direction during the quarter before another opposition goal is scored and it becomes too late. The unevenness in the quality of the lists will only be exacerbated by not being able to curtail run-ons. The best will get better and the weaker will be worse off. Mick Malthouse fears the gap between the best and the rest could grow this year. Picture: Getty Images. Thirteen wins were required to make the final eight last season, so the bottom teams were a mile off it. This will certainly happen again unless teams can minimise the damage caused by inferior and shallow midfields. The 50m penalty fiasco we've seen so far will no doubt sort itself out, while the other rules changes are all about interpretation. It is the rules I have mentioned here today that are changing the fabric of our game. Most elite sports around the world, at the very least, experiment with potential changes at the lower levels across one or two seasons before introducing or dismissing them. 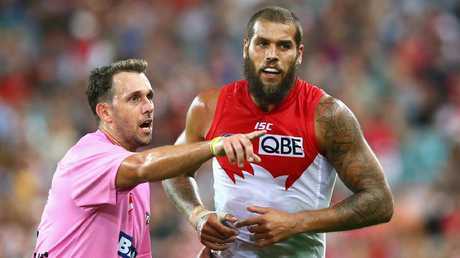 The AFL has dictated that these rules be introduced without precedence, leaving players, coaches, umpires and supporters confused. No matter what the officials do, there will be close games and beatings, good matches and terrible ones all in the same weekend. That is the nature of any competition. There is no use judging them on how the scoreboard is tracking or how quickly the ball moves because our game is so much more than that. Dear Gillon, forget American football, right here in our backyard is where the best stuff happens. 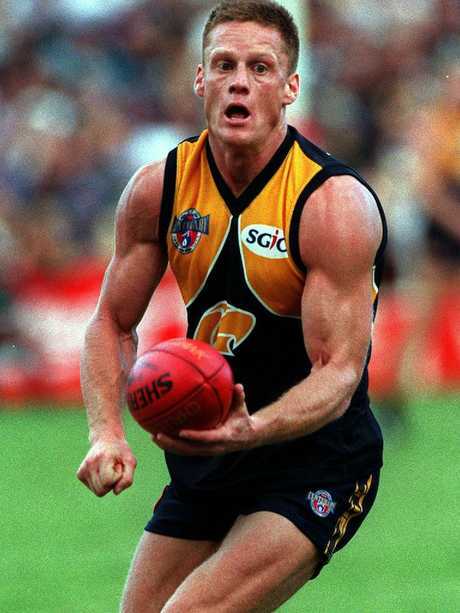 Mick Malthouse rated Guy McKenna as one of the best kicks in his West Coast side. Mick Malthouse argues coaches will be handicapped by the 6-6-6 rule and limitations on runners. Picture: Michael Klein.